No matter who we are, we all have something to hide. It could be something as benign as preparations for a surprise party or something as earth-shattering as a secret life. But regardless of what your specific secrets are, finding the perfect place to hide them can make a huge difference in the way you live your life. 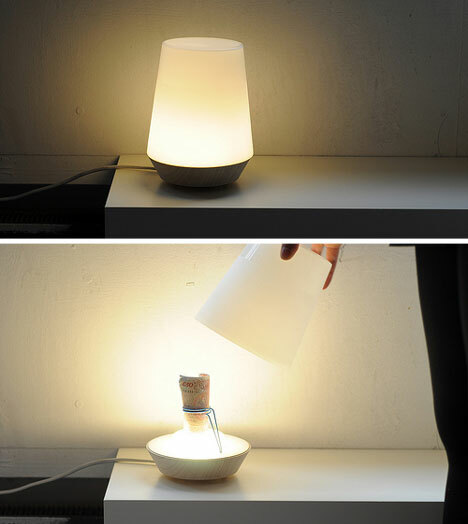 Yi-Ting Cheng has designed a whole suite of impressive solutions for hiding things in everyday objects. 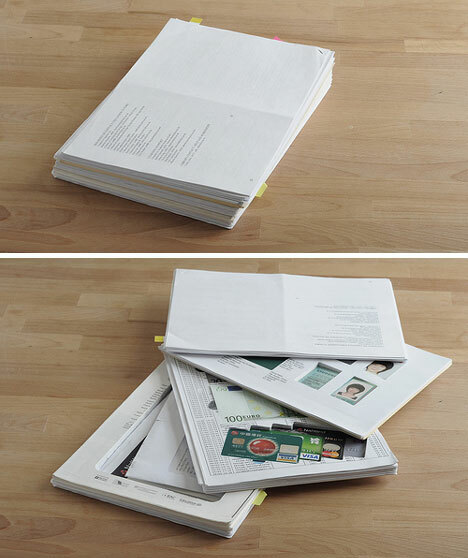 “Secret Stash” is a collection of amazing hiding spots from the design student that illustrate how simple it is to conceal your secrets in unassuming objects. Some of the hiding spaces require considerable preparation before they can hide anything, but some are everyday items that need no special modification. Cheng hides a set of keys in the hollow beneath a glass, filling the glass with liquid to conceal their presence. Credit cards, cash and documents are hidden in a stack of ordinary-looking papers. Passwords are written on a mirror in clear wax, only to be revealed with the application of steam. A roll of cash is hidden – rather dangerously, one would think – inside the shade of a lamp. 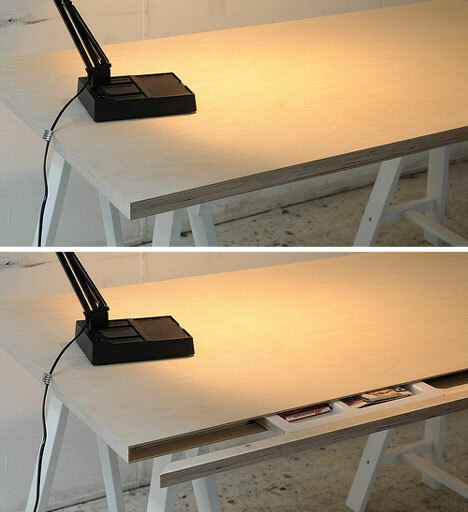 But one of the most impressive hiding places is the simple desk that hides a thin pull-out segment. The part that pulls out bears no handle or other discernible way of opening it, making it nearly invisible. 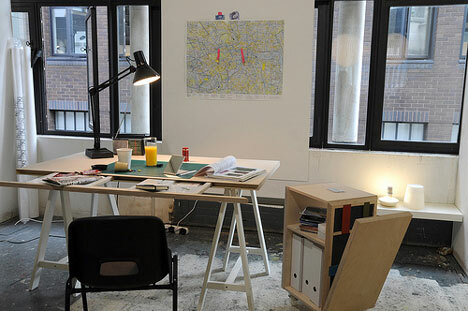 It’s only when a magnetic London souvenir, normally kept on top of the desk, is applied to the front edge that the hiding space is revealed. Part of the message behind this project is that we rely far too much on our vision to provide the whole picture. By simply looking at our surroundings we encourage blind spots that may cause us to miss important information. Cheng takes our usual notions of “true and false” and turns them on their heads, making it simple to see that there are many layers to everything.